Native Fauna need your help !!! With help from key partners, Green Skills has built an exciting new Fauna Sanctuary at Balijup Farm in the Cranbrook area of WA. The fox and cat proof fence keeps out the feral animals and has allowed us to establish a breeding population of Quenda and other native fauna. 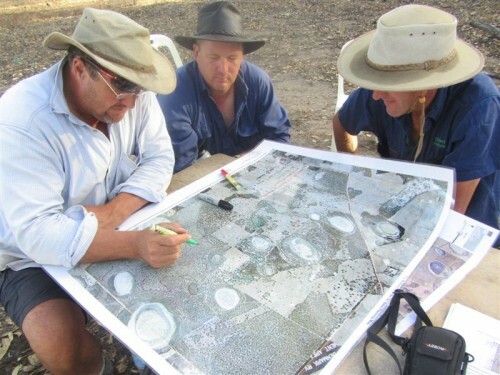 Through the world renowned Gondwana Link program, we have been working to restore ecological connections in South Western Australia for over a decade - in the area between the Walpole Wilderness Area national parks, and the Stirling Ranges. This next exciting chapter means we can get serious about re-introducing the native animals that have been driven nearly to extinction, starting with the Quenda. With your help we will be able to manage this project effectively and monitor its success in the future though an ongoing citizen science program. Your donation is a vital contribution to this innovative ecological project! One of the most important conservation issues we face in South Western Australia is the loss of small to medium sized marsupial mammals species, and threatened bird species. One of the biggest impacts on these animals is being eaten by feral animals, particularly introduced foxes and cats. Together with the 30-odd organisations working with Gondwana Link, we've spent decades researching, planning and supporting biodiversity restoration across the whole Gondwana Link area. 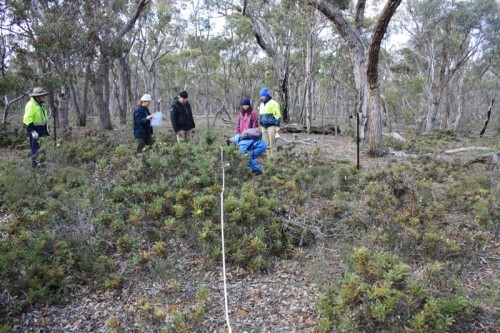 For many years, the owners of Balijup Farm (7km south west of Tenterden) working in partnership with community groups, have been fencing off all the bush-land on the property, undertaken surveys and ecological mapping and wetland assessments. 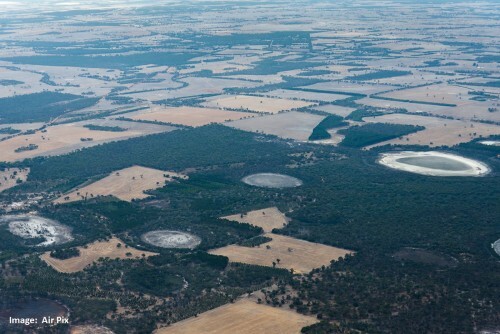 The enclosed area of bush has been protected by a covenant on the title, providing long term protection for the public investment in this project. This next phase of work at Balijup has taken the commitment of the owners up a few levels! A 111ha section of bush has been fenced with a predator proof 1.8m high fence that is 4.3km long. All feral animals have been removed, and baseline fauna and vegetation monitoring has been done. Ten Quenda (Southern Brown Bandicoot) have been introduced to establish a breeding colony. Reintroductions of other species will follow later. Careful monitoring and management of Quenda populations is being undertaken with the aim of relocating groups of individuals to other conservation areas as numbers build up sufficiently. To find out more about the details of the project - follow this link. The fauna enclosure is just the beginning of this project - in the longer term there will be scientific research, community education and engagement, fauna introductions, monitoring maintenance, feral animal control, and relocation - all being conducted in and around the project site. Thanks to generous support from Lotterywest, and other funding bodies, we have secured the funds we needed to build this Sanctuary. With your help, we will be able to manage the exciting Balijup Fauna Conservation Sanctuary project and monitor it's success into the future. 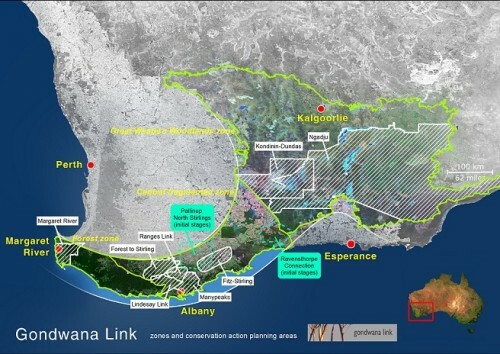 The project is part of the Gondwana Link program (www.gondwanalink.org), and managed by Green Skills Inc (www.greenskills.org.au) - two well established NGOs working in the Great Southern Region of Western Australia. An experienced scientific and technical advisory committee guide the project. $50 will fund the cost for one week of ensuring that the enclosure fence remains an effective barrier against foxes and cats. $100 will support the cost of supporting Citizen Science team of volunteers staying at Balijup for one day. $250 will support the cost of a single baiting event in the Enclosure against foxes and cats which will be undertaken periodically. $1000 will cover the cost of 2 nights of our team trapping and relocating Bandicoots for setting up a breeding population in the Enclosure. All donations over $2 are tax deductible. Receipts will be issued by Green Skills Inc.
Support Green Skills to manage the exciting Balijup Fauna Conservation Sanctuary which has secured a fox and cat proof area to establish breeding populations of Quenda and other native fauna.